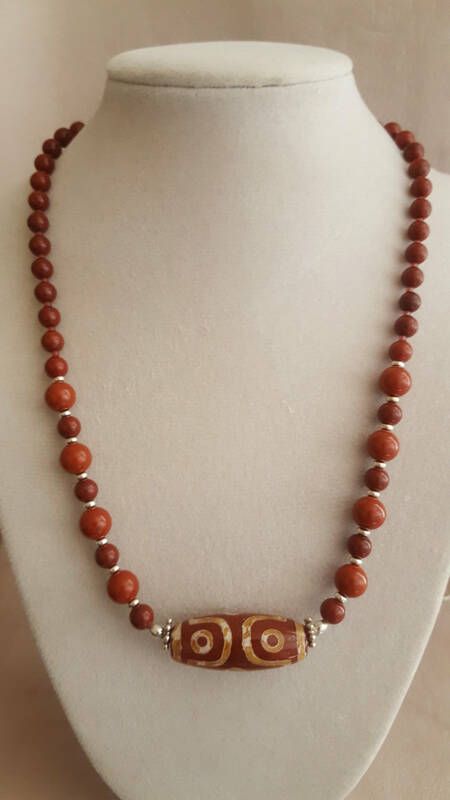 Jasper called red Jasper but I'd say it's more of reddish rust which will go with any outfit. Bali and sterling silver accents with sterling silver hook clasp. Unusual glass center bead to set off the piece. Approximately 18.75"